Types of Legal Guardianship | Craven, Hoover, & Blazek P.C. In the case that an adult cannot make decisions for themselves, whether mentally or medically incapacitated, the state provides laws that allows an appointed individual to make decisions for them. These individuals are referred as guardians or conservators, and the people they are making important decisions for are referred to as wards. A person can be determined “incapacitated” when they lack the capacity to make responsible decisions regarding their life. There are actually seven basic forms of legal guardianship, all of which we will define and discuss in this blog. 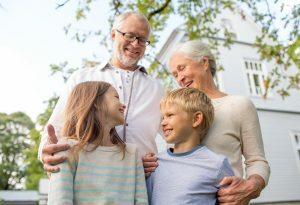 Continue reading to learn more about the seven types of legal guardianship, and who to talk to for more information pertaining this topic and more. In the case that a ward can make some, but not all, decisions for his or her life, they will be appointed a conservator with limited guardianship. This guardian has restricted control of a ward’s life. Quite the opposite of limited guardianship, plenary conservatorship gives a person complete control of a ward’s life, property, and finances. If a legal guardian needs a person to stand-in for a short amount of time, they can appoint a “short-term” guardian without legal consent from court or judge. For example, if a guardian has to serve jury duty or be hospitalized, they can appoint a replacement guardian for a temporary amount of time. In contrast to short-term conservators, temporary guardianship is used for cases of extreme and immediate emergencies. A person appointed as temporary guardian usually only retains the role for no more than 8 weeks; however this varies from state to state. A legal guardian can name another person in his or her will that will be their successor as legal guardian to a particular ward. This does require court approval. In the case that a legal conservator resigns, dies, or becomes incapable of fulfilling their role as guardian, a successor guardian is appointed. This person is either named in the original guardian’s will, or is appointed afterwards. When a new guardian has to be appointed, a standby guardian steps in for immediate backup. Until the legal documents and court approvals are complete, the standby guardian fills-in so there is no gap between conservators. Call Craven, Hoover, and Blazek P.C. at 317-881-2700 for personal injury claims in Indianapolis, Indiana. Attorneys, Daniel Craven, Keith Blazek, and Ralph Hoover retain extensive trial and litigation experience in accident law. We offer free initial consultations and never collect lawyer fees unless we win your case. Call 317-881-2700 to learn more about filing a personal injury claim in Indianapolis, IN today. This entry was posted in Personal Injury and tagged conservators, filing a personal injury claim, Guardians and Conservators, guardianship laws, Indianapolis accident attorney, Indianapolis Personal Injury Attorneys, legal guardians, personal injury, personal injury claims Indianapolis. Bookmark the permalink.